The majority of craftable items are now created through the workbench. Instead of finding recipes for new items all over the place, you will have to upgrade your workbench to craft better items. Workbenches are found in every hideout. Repair kits have been removed. You will be able to repair your weapons on the workbench. In addition, weapons can be upgraded / modified with different perks. The workbench gives players some short-term goals to look forward to, which are much needed until we add more detail to the storyline. A lot of work has been put to make exploration better and more rewarding, with new locations and a more varied wilderness. Roads are more plentiful and informative (they don’t end in the middle of nowhere anymore). Biome borders have been overhauled, and now contain unique stuff and are much less confusing. Also, new enemies have been added. – New trading UI, preventing accidental purchases. – Time freezes after surviving the night, allowing you to breathe a little, repair your hideout and interact with a new NPC. – The saw has it’s own UI now. – There are only two types of mushrooms now: regular and night mushrooms. The essence you gain from them depends on the quality of the oven you use. – Loot randomization has been put through a balance pass (the system needs to be pretty much redone in the future though). Apart from the major changes, we’ve spent a lot of time on refining smaller elements and squashing bugs, but those will be outlined in the update notes. 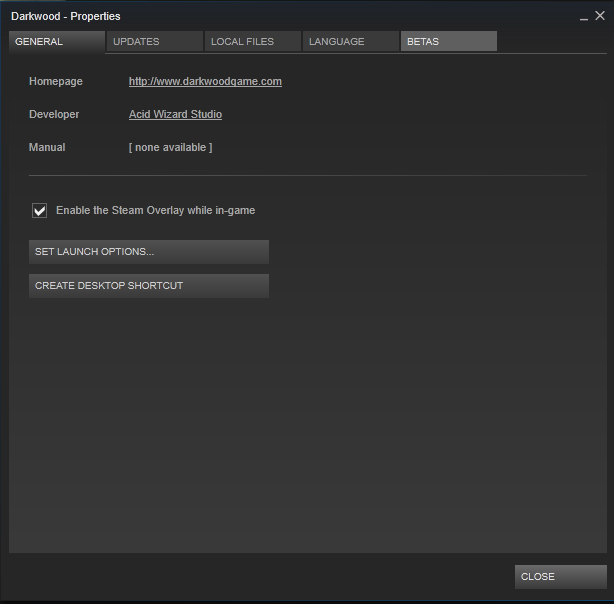 If you don’t want to upgrade to the latest version of Darkwood and do not wish to play around with going offline on Steam, we’ve added a option to keep playing on a earlier version of Darkwood with only 6 mouse clicks! 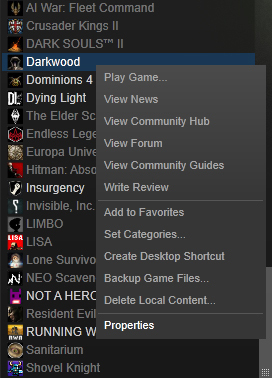 Right click on Darkwood in your Steam library, and select “Properties”. 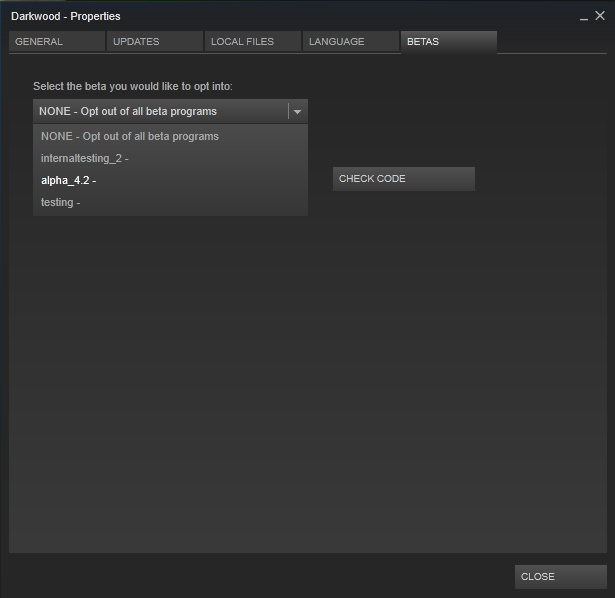 From the drop-down list, select the version of the game you are playing on now (WARNING: selecting a EARLIER version will result in weird stuff happening when loading a game!). The “testing” and “internaltesting_2” betas are hidden, so don’t worry if you don’t see them. Click CLOSE and you’re done! If you wish to return to automatic updates, just select “none” from the menu. A test version has been released, so expect the next alpha to go public pretty soon if all goes well! 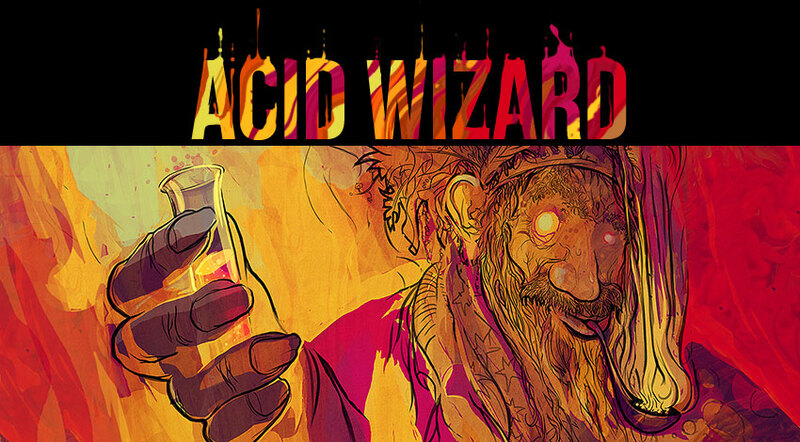 The book is in the final days of it’s Kickstarter, so it’s your last chance to get it early! Aww yiss, another update. Game’s shaping up a lot better now!